On New Year’s Eve, 2009, I completed my work as an executive in charge of production at TV One. In January of 2010, I boarded an Amtrak train at Union Station in Washington, D.C., and traveled to Montreal, Quebec, Canada. The city was cold and covered in snow. My kind of weather. 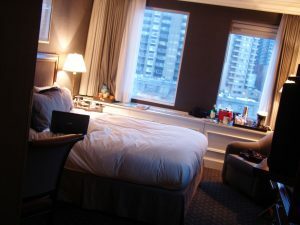 For days, I stayed in my hotel room (pictured left), sitting atop my bed, drinking Vodka and eating pizza and Chinese food, figuring out what I would do next in my professional life. In February of 2008, before I accepted the position at TV One, in a similarly contemplative state of mind, I signed up for an account on BlogTalkRadio.com, thinking that perhaps I would resurrect my radio career. I hadn’t been on the air since the early 90s, when I produced and hosted the On Track radio broadcast, for the Washington Urban League, in partnership with WPGC 95.5 FM in Washington, D.C. It was in Montreal, in that hotel room, nearly 20 years later, that I decided to create an online radio show. The original vision was to team up with two of my friends, to present a show called Media Boyz, a news and features program, with the three of us as co-producers and co-hosts: one based in St. Louis, the other in Brooklyn, and I would broadcast from my home in Bethesda, Maryland. We had all worked in the business for years, thus the name Media Boyz. As we continued to talk about what we wanted to do together, and as we began to plan what we’d collectively present on the show, it became clear to me that I was the only one who was really committed to moving forward and making it all happen. 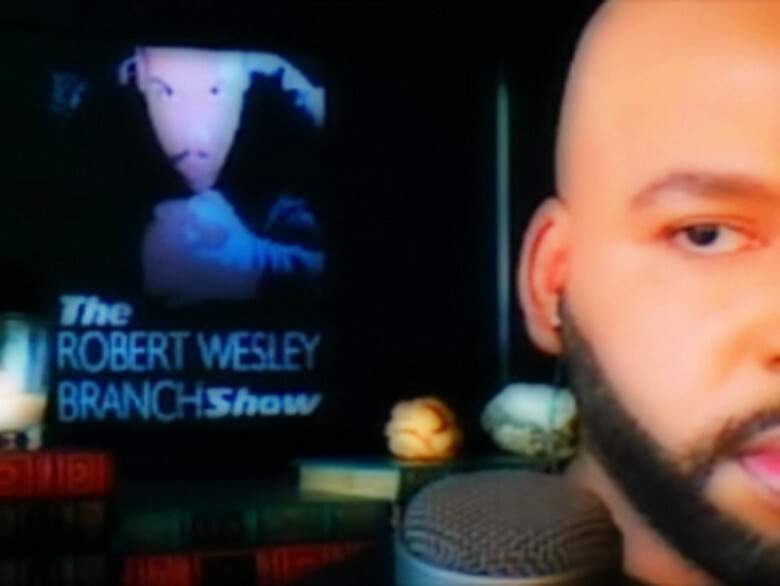 That’s when I decided to go it alone: to research, write, produce and host the show myself, and to name it The Robert Wesley Branch Show. We broadcast our first show – All Eyes on Haiti – on a very snowy Saturday morning: February 6, 2010. Over the course of the following weeks, a team of regular co-hosts emerged: from Washington, D.C., my longtime friend, jazz singer Maiesha Rashad, joined the team; from Harlem, New York, my television colleague, executive producer Michele Wilson, came aboard; and from Tallahassee, Florida, Dante Bonner, a few months later, rounded out our weekly panel.